10' x 30" Intex Easy Set Pool $49.99! (Reg. $100) Ships FREE! You are here: Home / Great Deals / Amazon Deals / 10′ x 30″ Intex Easy Set Pool $49.99! (Reg. $100) Ships FREE! 10′ x 30″ Intex Easy Set Pool $49.99! (Reg. $100) Ships FREE! Nothing’s better in the summer than spending some time in a pool! 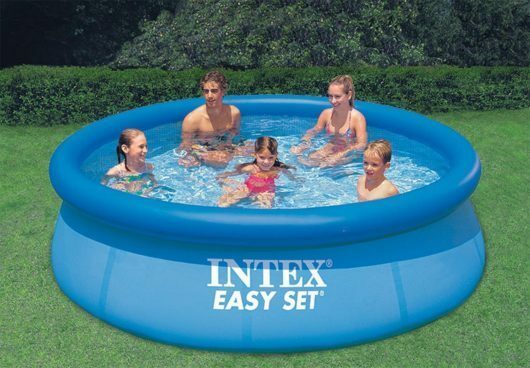 Order the 10′ x 30″ Intex Easy Set Pool for Only $49.99! (Reg. $100) Ships FREE! 10 ft diameter x 30″ (2.5 ft) height. No filter pump is included with the pool. A filter pump would need to be purchased separately. Super easy set-up! Ready for water in 15 minutes!